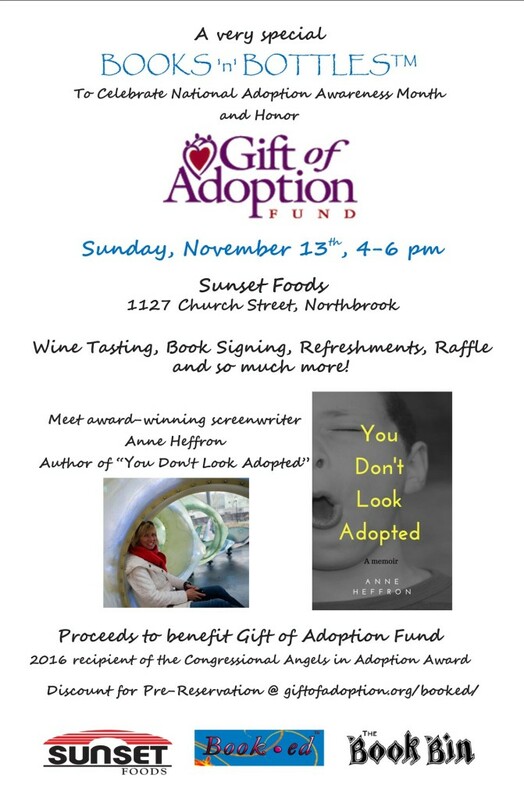 Join us at Sunset Foods for a Book.ed Books ‘n Bottles fundraiser to benefit Gift of Adoption. Cheese and crackers, wine and desserts. $28 (additional tickets, no book). Learn more about Book.ed and Books ‘n’ Bottles events.